This is a mantel we built for a designer's showroom. 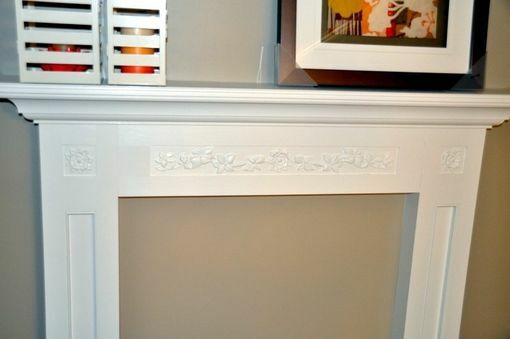 The mantel is made of poplar, with molding and carved highlights that were created in our shop. 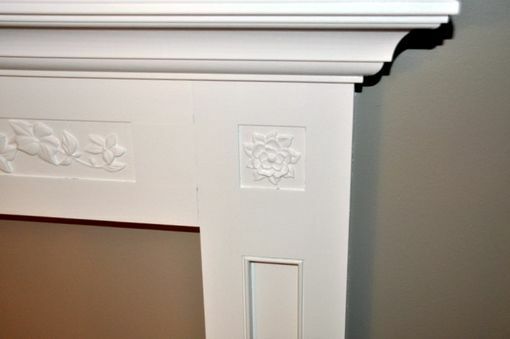 The inset areas are highlighted with bead molding. 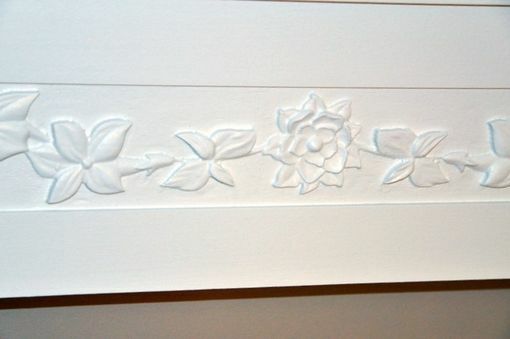 The carvings are magnolia flowers and leaves. 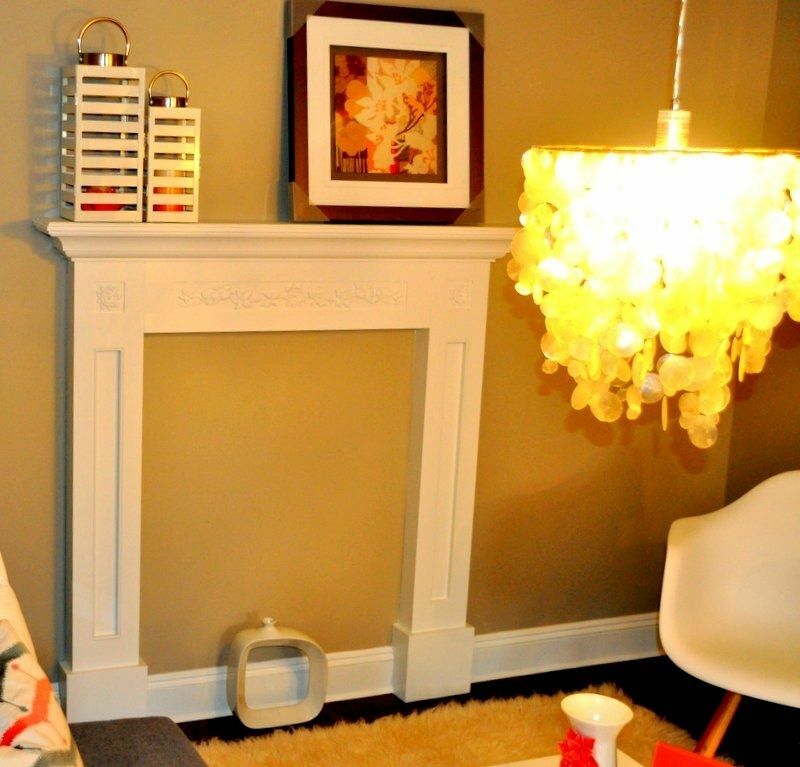 We build these mantels in our shop, the deliver and install them at the client location. This basic mantel can be easily modified to fit into many types of decor. 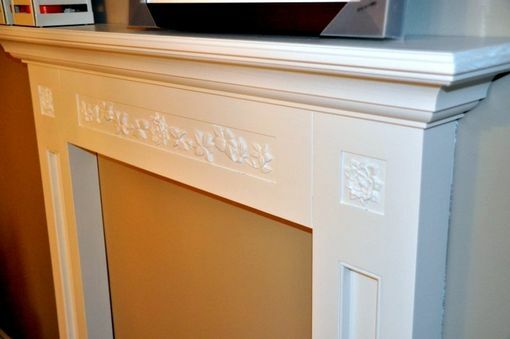 We can change the size, add decorative corbels and columns, change the type and style of the carvings and moldings, construct it of hardwood and/or stain-grade materials, and build decorative frames and panels above the mantel.